Demon Seed is more goofy than scary (but that might be how it was meant to be) but still is rather entertaining and in keeping with a film from the mid-70s. 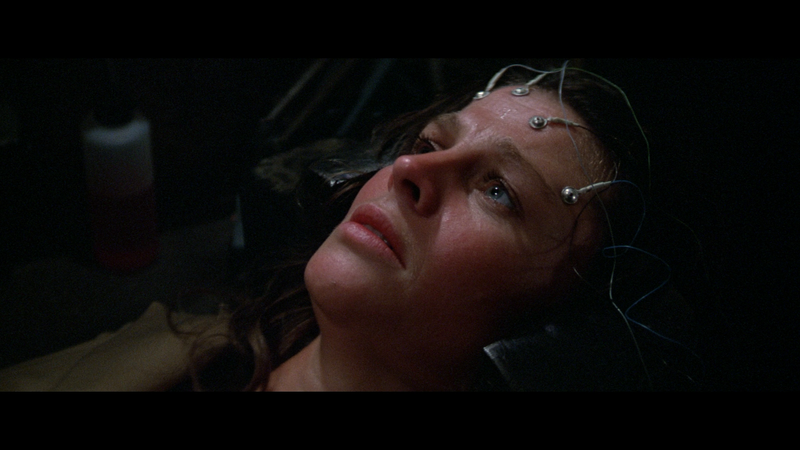 Child psychologist Susan Harris (JULIE CHRISTIE) lives with her husband, Alan (FRITZ WEAVER), in a home operated by a computer program. When Alan invents Proteus IV, an artificial intelligence system capable of advanced thought, Alan’s obsession with technology strains his relationship with Susan. But Susan sees the true power of her husband’s invention when Proteus IV takes her hostage in her own home and plans to impregnate her in order to take on a human form. The only feature is the Theatrical Trailer (2:35; HD). 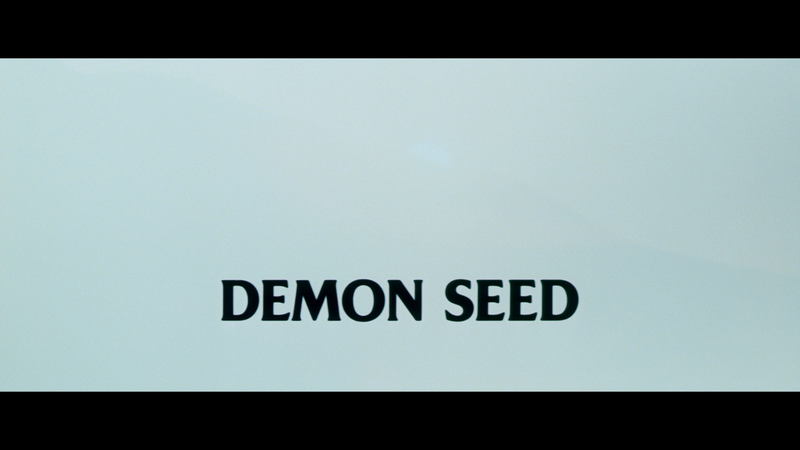 Warner Archive’s releases Demon Seed onto Blu-ray presented in its original 2.40 widescreen aspect ratio and a 1080p high-definition transfer. Considering this is now a movie going on 40 years, the transfer doesn’t look half bad: details are relatively sharp and nicely defined while colors may not be brilliantly bright but still looks natural enough without appearing overly pumped up. There were some instances of noticeable dust marks and scratches so it’s not surprising this didn’t undergo any sort of restoration work. The disc comes with a DTS-HD Master Audio 2.0 Mono track which I found to be serviceable enough with dialogue coming through quite nicely and when the action picks up, there is some moderate depth, though nothing amazing. 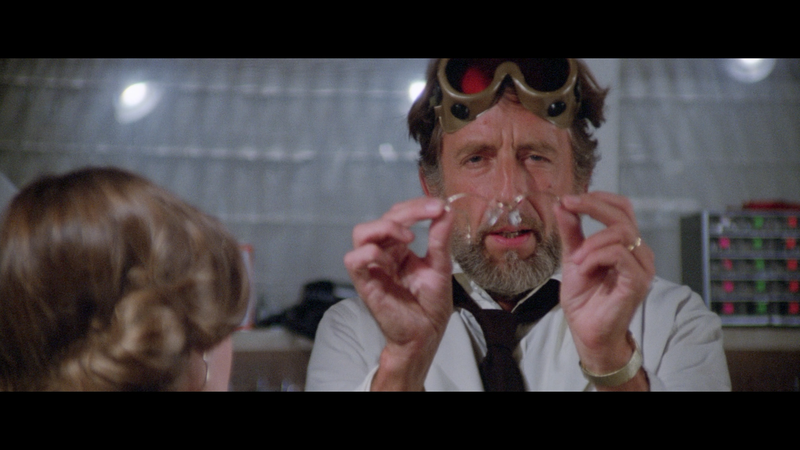 Overall, Demon Seed is more goofy than scary (but that might be how it was meant to be) but still is rather entertaining and in keeping with a film from the mid-70s. The Blu-ray released through Warner’s Archive Collection offers good video and audio transfers but is limited in the features department.